With the holidays around the corner, we're all hopefully going to take some much-needed time off to spend time with family, shower each other in gifts, and explore all the restaurants, bars, and hotspots that we haven't had a chance to check out yet. Or wait, is that just me? Either way, finding a cool, low-key bar with great drinks (seasonal, of course...I mean, are we farmers?) and some small bites is crucial for all those get-togethers with friends and family who just got to town. There's just enough to keep you satisfied without the commitment of a full, sit-down meal. 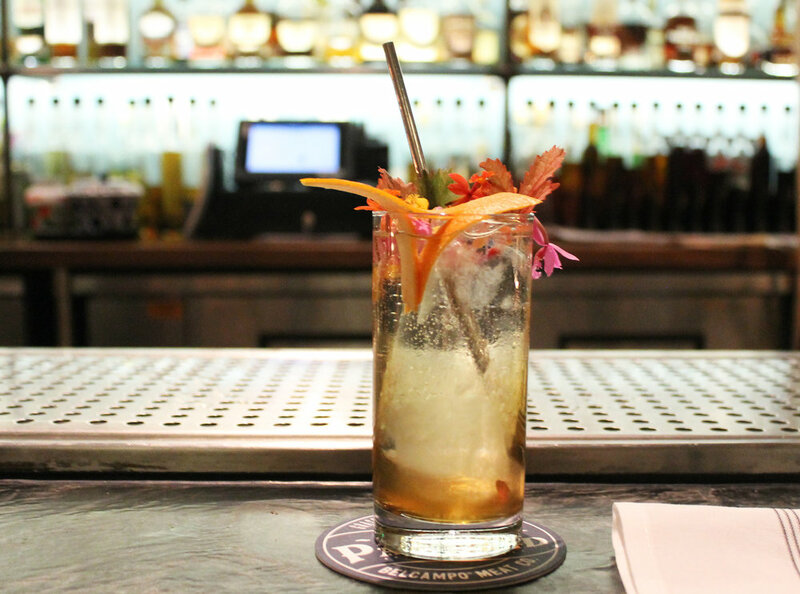 Below, two suggestions for great bars with of-the-moment libations and delicious bites. Though I've only done Belcampo's full, sit-down dinner once (it was great! ), I seem to keep coming back for a quick visit to their beautiful bar. Of course, Santa Monica has some great bars, but Belcampo occupies that unique (and often elusive in certain neighborhoods) space of upscale-yet-casual meeting spot for a craft cocktail and conversation, while other bars in SM seem more geared towards the nightlife scene. And currently, they're kind of killing it with their seasonal cocktails. Favorites included the Pistache Fizz-- a gin-laden drink that, with the pistachio butter, honey, and egg white, was like a semi-sweet, boozy milkshake lightened by a nice punch of citrus. The "I Am Groot" was another winner; despite the on-trend name, the brand, vermouth, and green chartreuse concoction tasted like a lighter, winter apple take on an Old Fashioned. I loved the old-timey feel, and is the perfect drink for nursing all night. 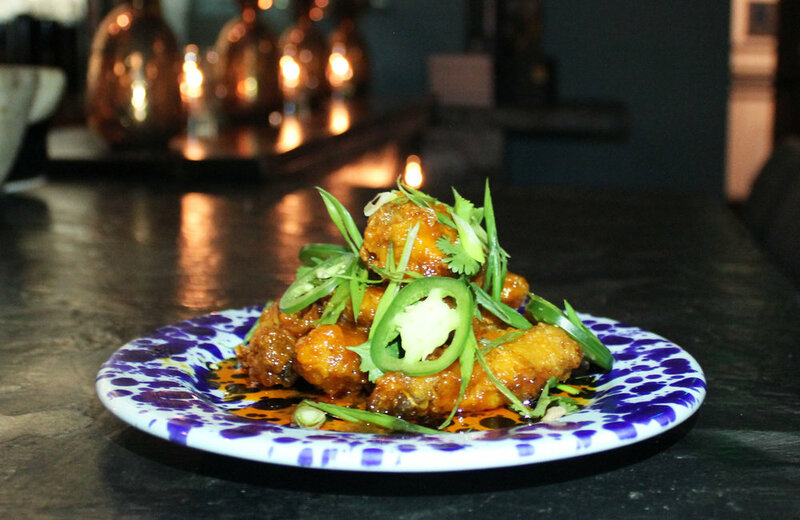 Until 7, you can also indulge in their wonderful happy hour, which includes bites like Sweet Chili Wings (below), which were delicious, as well as chicken skewers, fries, and blue cheese dip. 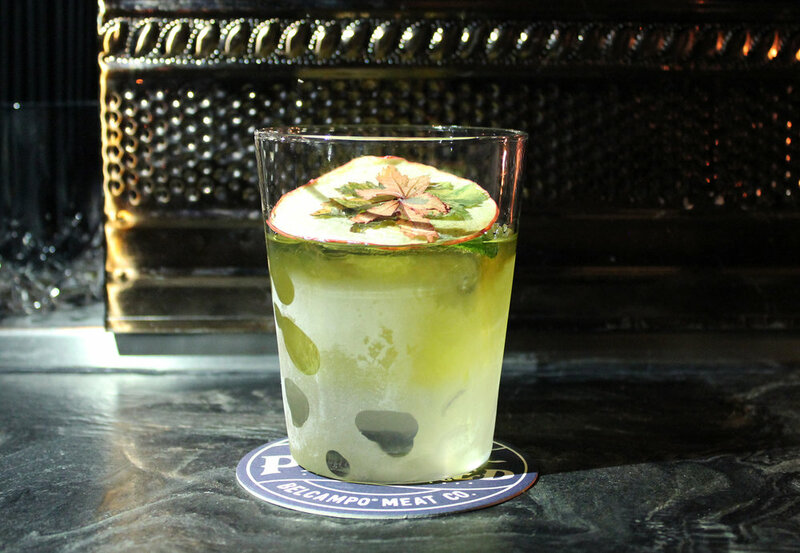 Sherman Oaks is not an area known to be bursting with tons of trendy bars, so when a cool, local drinking spot with great cocktails and tasty bites comes around, it's a very welcome addition to the valley dining scene. Situated next to the new Te'Kila, the Hollywood tequila bar and Mexican restaurant, Bar Tribute is a nod to cocktail enthusiasts and features a rotating menu of monthly specials, as well as classic libations and a focused list of "Bar Eats." I definitely appreciated that their bar bites menu strayed from the typical Valley Gastropub fare, offering deliciously succulent bacon-wrapped dates, crispy plaintain tostones with creamy guacamole, and grilled shrimp skewers with a pumpkin seed sauce. From their November menu, I tried The Ferrari (apparently a nod to Zoolander) with New Amsterdam vodka, lime juice, ginger syrup, Giffard Orgeat, and DuBuchet Blue Curaçao-- it was fresh, citrus-y, a little bitter, and a little sweet. All around, a really nice, fun drink. For Valleyites and those willing to make the short drive (guys, it's really not that far, and I'm honestly tired of people calling it a "trek"), Bar Tribute is an excellent choice to stop in for a low key drink and some really good shared bites.